IMMIGRATION LAW FOCUS: Dishonorable Discharge? Foreign nationals have served in our armed forces since the Revolutionary War. They comprised 20 percent of the Union Army, and over 300,000 immigrants served us during World War II. More recently, pursuant to 10 U.S.C § 504(b), the Military Accessions Vital to National Interest (MAVNI) program was launched in 2009 by the Defense Department, and became a popular choice for foreign nationals with critical language or medical skills to serve our country. 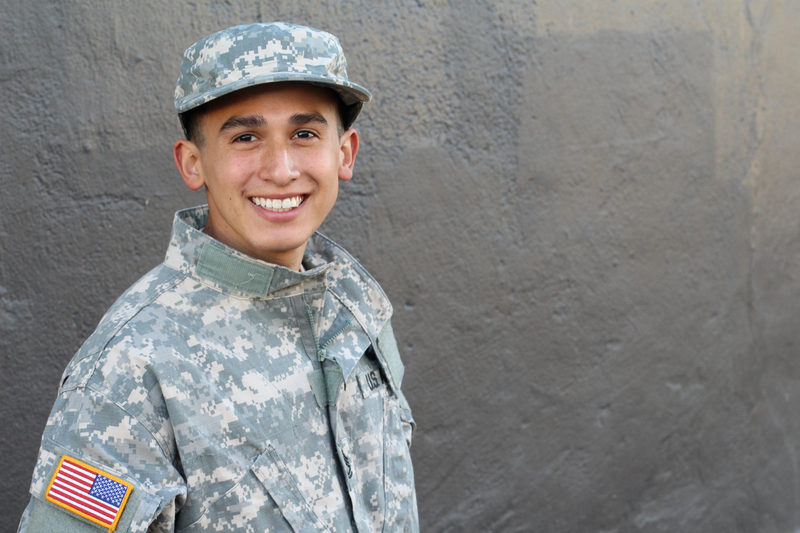 This program allows legal, nonpermanent resident immigrants to join the military and get fast-track citizenship. The foreign nationals who qualify for MAVNI entered the U.S. on a temporary basis (e.g., via student visas), or as potential asylees. They are willing to serve the U.S., with the expectation that after doing their job faithfully; they will be rewarded with U.S. citizenship. As many as 10,400 troops have come through MANVI. Many of them have served with honor and distinction, and qualified after three years for U,S citizenship based on their service. However, in 2016, the MAVNI program was frozen to new applicants, with additional background screening added for those already in the program. This has left approximately a thousand of these patriotic recruits unable to move forward toward their dream of U.S. citizenship. The future of MAVNI, and those who are taking part in it, has been jeopardized by a series of decisions by the current Administration over the past two years. Thus, foreign nationals who joined the military to take advantage of the program will be discharged before they can be cleared for duty. This will leave some without lawful status, and therefore vulnerable for removal from the United States, despite their service as well as their passage through multiple layers of previous vetting. On October 13, 2017, the Administration imposed more stringent policies involving initial security and suitability screening for lawful permanent residents (LPRs), as well as certifications of honorable service for the purposes of expedited naturalization. At that time, all LPRs were required to complete additional background investigation and receive a favorable military security suitability determination (MSSD) prior to entry in the active, reserve, or guard service. This was a significant change from the previous policy, which allowed LPR recruits to ship to initial military training as long as their background investigation had been initiated, and they had cleared all other entry screening requirements. On July 6, 2018, 40 of these foreign-born recruits were discharged, based on lags in security checks, leaving many without lawful immigration status. As a result, up to a thousand people who joined our military in good faith are expected to be discharged in the next few months. Some enlistment contracts were canceled nationwide despite a rule that allowed recruits to wait an additional year for the military to finish the checks. Thus far, the public reaction to this presidential assault on MANVI has been varied. Media attention has had the effect of reinstating some enlistment contracts that, upon additional review, were deemed to have been wrongly cancelled. However, this has left many of those who were discharged and not reinstated in fear of returning to persecution in their home countries, and responding to this fear by filing for asylum. Asylum petitions, however, are not the only way by which these foreign born recruits are fighting back.As of July 19, 2018, one U.S. Army Specialist participating in MAVNI, and having served for four years while still awaiting her naturalization, was subsequently discharged, filed for a Temporary Restraining Order in a Federal district court in California. The outcome of this case is not yet known, but other recruits in the same situation are also preparing similar actions. What should be the take-away from all of these adverse decisions by our Commander-in-Chief, against those who have put themselves in harm’s way to gain a future in the country they have chosen to serve? Sadly, at the moment, there is only one: to advise foreign national clients that enlistment in the U.S. military is no guarantee that they will not be discharged, deported, and subject to harsh punishment in their country of origin for joining a foreign military. Hopefully, changes in the political climate, and additional lobbying in the court of public opinion, will lead to a more honorable future for these courageous foreign nationals, instead of having the fate of a discharge that dishonors our nation as well as jeopardizing the future of those who are guilty of nothing more than the ultimate act of patriotism. Cynthia B. Rosenberg practices Immigration Law with Rourke & Rosenberg LLC and is Vice Chair of the MSBA Immigration Law Section.